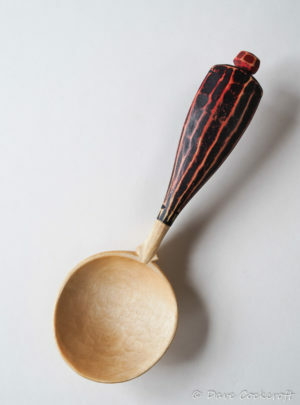 This is a one off, unique, one and only cotinus coffee scoop with ebonised handle. 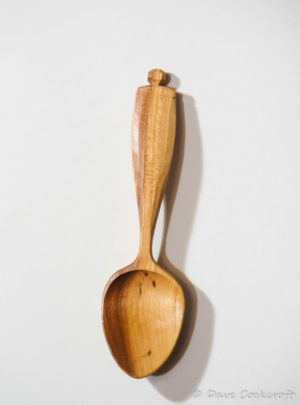 Around a table spoon in size this little beaut will look great hiding in your coffee or jar or even used to the occasional medicinal nip of whisky. 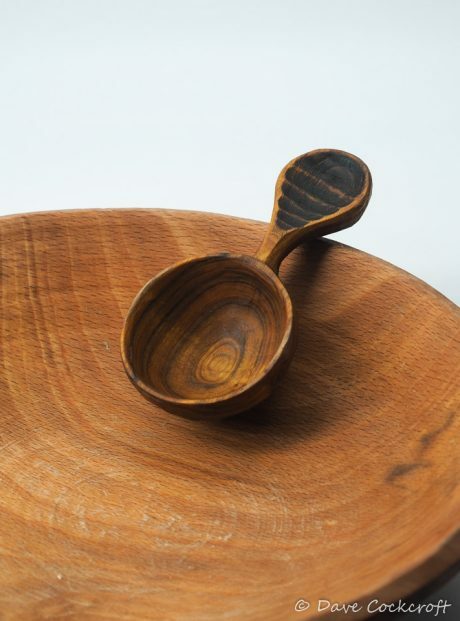 A round bowl sycamore eating spoon or soup spoon with my special red and black milk paint finish, folks at Spoonfest called them lavaspoons and the name has stuck.This is a rare round one – I’ve only made about 4 or 5 of these all told. This one has a flat rim and is good for soup, shallow at the front of the bowl but quite deep in the middle. 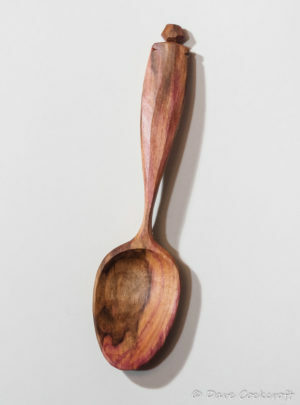 This light coloured bullace or wild plum spoon has darker heartwood on one side and distinctive speckling through the bowl. 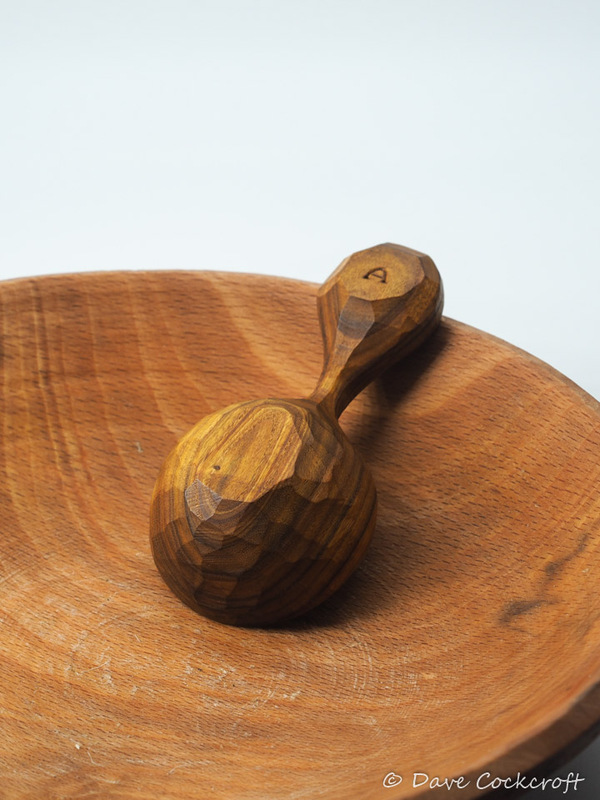 The wood is very hard and durable, it’s going to be a joy to eat with. 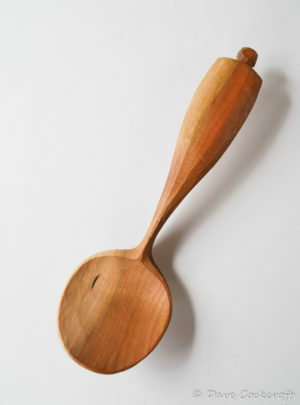 It’s a bit cheaper as it’s an old spoon that turned up recently when I tidied my workshop. 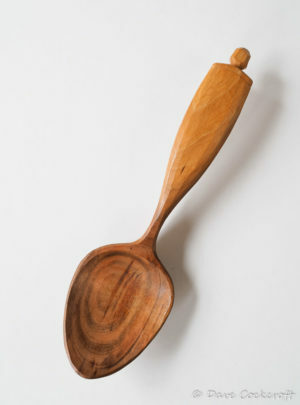 This dark coloured bullace or wild plum spoon has distinctive markings in the bowl. The wood is very hard and silky smooth, it’s going to be a joy to eat with. 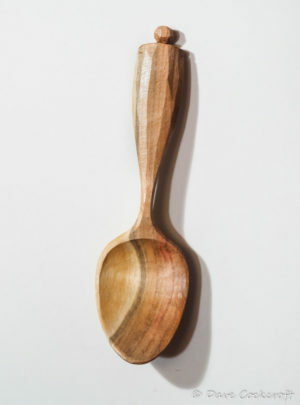 This eating spoon from a tight grained piece of cherry has a small knot in the back of the neck. It’s more of a beauty mark than a flaw and and wont effect it being used although it little extra care when cleaning wouldn’t go amiss. 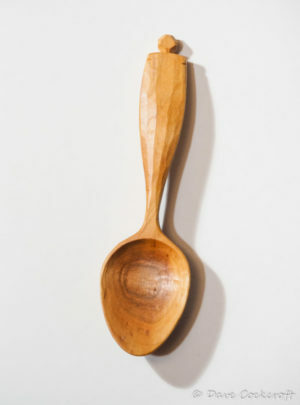 This spoon has a pronounced crank and a shallow round bowl with a flat rim. 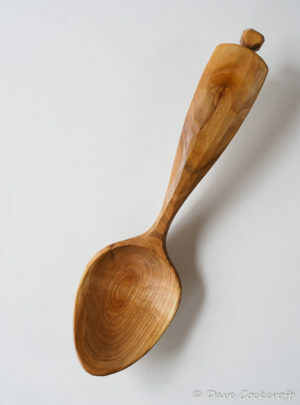 It’s a general purpose eating spoon and not a deep bowl soup spoon like traditional round spoons, although you could eat soup with it of course. Plum is very hard and durable.